On his fiftieth birthday, British journalist and self-described “indolent sportsman” Mark Law decides to take up judo on a whim and ends up getting hooked on the sport. 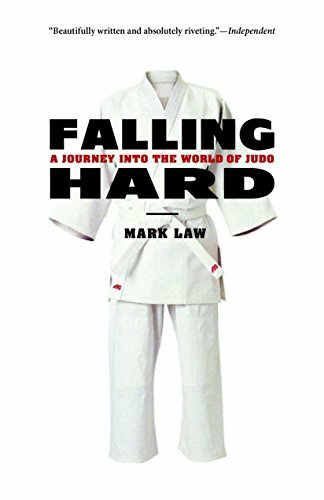 Falling Hard is Law’s love letter to judo—the culture, drama, history, and practice. With journalistic zeal, he delves deeply into the sport’s history and lore, and interweaves his own judo experiences with the development of judo in Japan, the life and vision of its founder Jigoro Kano, the export of judo to the West, the emergence of women in the sport, and detailed descriptions of competition on the world championship and Olympic levels. Law’s account is as much for the sports writing fan and armchair enthusiast as for the judo practitioner. With humor and skill, he describes grueling training sessions and matches (including his own), famous Olympic bouts, and legendary rivalries between judo players and national teams, and he speculates on the future of the sport.